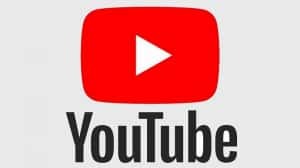 Yesterday at VidCon 2018 in California, YouTube announced a trio of new features for creators which give them new ways to earn money while at the same time help YouTube better compete with the likes of Twitch. The main source of revenue for everyone on YouTube, including YouTube itself, is advertising. But YouTube faces increasing competition to keep its creators happy and attract new ones. With that in mind, three new ways for creators to make their channels earn more money are being introduced. The first is channel subscriptions. This isn’t a new idea for YouTube and experiments with subscriptions have been running since January. It allows creators to offer “unique badges, new emoji, Members-only posts in the Community tab, and access to unique custom perks offered by creators, such as exclusive livestreams, extra videos, or shout-outs” in return for $4.99 per month from a subscriber. A channel needs to be eligible, though, with the biggest hurdle being a minimum of 100,000 subscribers. The second new feature is merchandise, which YouTube is achieving through a new partnership with Teespring. Available only in the US, creators will be able to add their own designs to a range of products including t-shirts, hoodies, hats, mugs, posters, phone cases and more. The merchandise will appear on a shelf directly below YouTube videos with up to 12 products available at any one time. Setting this up doesn’t cost the creator anything and each sale will net them some extra cash. However, as with channel memberships a channel needs to be eligible and in this case that means a minimum of 10,000 subscribers. Third, and finally, we have Premieres. These will come in very handy when a creator wants to record something new and live, but would also enjoy focusing on interacting with viewers while the content plays. Premieres allow “pre-recorded videos as a live moment” to be uploaded. That way the video can be hyped via a public landing page beforehand and then the creator can fully focus on interacting in chat when it does play. Extra revenue can be generated from channel memberships and merchandise being pushed by the creator , and Super Chat purchases to make messages stand out in the stream. If this all sounds like features you wouldn’t ever consider paying money for, YouTube would disagree. Apparently the number of creators earning five figures each year increased by 35 percent, and those earning six figures went up by 40 percent. So people are willing to pay even if the bulk of the money still comes from advertisers.